President Trump’s repeated efforts to meddle with Justice Department investigations into him and his inner circle included a phone call to then acting Attorney General Matt Whitaker asking for an ally to be put in charge of the Michael Cohen probe, the New York Times reported Tuesday. The Trump White House pursued a controversial nuclear energy project linked to Saudi Arabia even after warnings from career National Security Council staff and ethics officials that doing so without congressional approval would violate the law, the House Oversight Committee said in a preliminary report Tuesday. 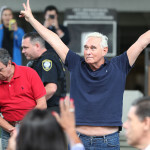 Roger Stone may be in deep trouble after posting an ominous Instagram photo of the U.S. District Judge Amy Berman Jackson over the holiday weekend. 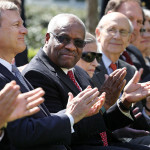 Perhaps the biggest voting rights news last week was the announcement by the Supreme Court Friday that it was taking up the Census citizenship case. The court will hear arguments in the case in April. A federal judge had previously blocked the administration from adding a question about citizenship to the Census. The move sets up the possibility that the justices will decide whether the question can stay on the 2020 census by the end of the term. The Justice Department, in appealing the case to the Supreme Court while bypassing the appellate court, pointed to a June deadline for printing the survey forms — though, for extra money, the government can push the deadline back a few more months. Texas Secretary of State David Whitley apologized in a letter to lawmakers last Wednesday for his handling of a list of alleged noncitizen voters that proved to be filled with errors and false positives. The apology was a half-hearted one, and Whitley did not back down from the methodology he used to create the list, despite the fact that early warnings about its sloppiness were born out to be true. He sent the letter as his confirmation by the Texas legislature remains up in the air. His confirmation will require the support of 2/3 of the state’s senate, meaning that he will likely need at least some Democratic votes if he wants to be confirmed. Democratic senators introduced legislation on Friday that would stop states from using a voter’s non-participation in elections as a reason to begin the process of purging him or her from the roles. The bill, called the SAVE VOTERS Act, is a response to the Supreme Court’s 2018 decision in the case Husted v. A. Philip Randolph Institute, which okayed Ohio’s system of sending mailers to voters who don’t participate in six years’ worth of federal elections and then removing them if they don’t respond. The bill probably won’t go anywhere as long as Republicans control the Senate. A House elections overhaul bill also included a provision addressing a Husted-like purging processes. On Monday the North Carolina State Board of Elections is beginning its hearings on allegations of absentee ballot fraud in the state’s 9th congressional district race. The hearings are expected to last two-to-three days. Republican candidate Mark Harris, whose campaign is tied to the local operative who’s been accused of fraud, filed briefs last week arguing that his narrow unofficial victory in the race should be certified. His Democratic opponent Dan McCready asked for a new election in his filings with the board. 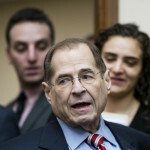 Top Democrats on the House Judiciary Committee are opening an “immediate investigation” into President Trump’s move Friday morning to declare a national emergency to fund the construction of a border wall. 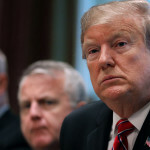 President Trump yet again made life more difficult for the attorneys who defend his policies, by speaking candidly about why he was taking the extraordinary step of issuing an emergency declaration to fund the building of his border wall. 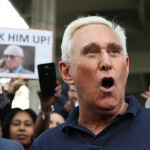 U.S. District Judge Amy Berman Jackson issued a gag order in the Roger Stone case Friday, a move that was anticipated given Stone’s publicity-hungry ways and given that the judge imposed a similar order in the Paul Manafort proceedings. 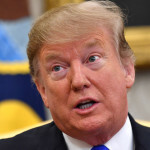 The Supreme Court announced Friday that it will decide whether the Trump administration can add a citizenship question to the 2020 census form. 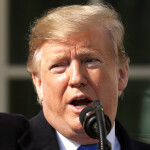 President Trump’s remarks announcing a national emergency declaration to build a border war included a bizarre, sing-songy riff on the legal challenges the move will face. 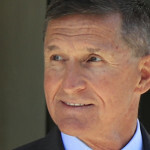 He’s planning on signing the national security declaration Friday. 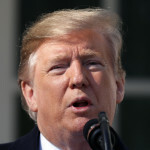 President Trump’s declaration of a national emergency — along with other measures he will take to move around money — will allow him to access roughly $8 billion to build a border wall, senior administration officials told reporters on a press call Friday morning. They expect it to fund the 234 miles of barriers that he had sought to build with his $5.7 billion request that Congress rebuffed.